More and more businesses are starting to use storytelling to capture photos that are more effective. But before you can do that you first need to understand the role that storytelling plays in photos – and why it is so important to businesses. Arguably the main reason why storytelling is important is because of its ability to provoke emotional responses. By crafting business photos in a way that takes advantage of that, you can come up with far more engaging and compelling content that drives people to take action. The emotions that storytelling can evoke in business photos vary from happiness to humor, inspiration, or even sadness and pity. To pull it off the visuals of the entire photo need to align with the emotion that you are attempting to portray. Storytelling is able to set photos apart and make them look unique. Even photos of mundane subjects can look far more impressive and memorable when there is a story behind them – and are more likely to stay in people’s minds long afterwards. For businesses that can help on many fronts. The more unique your photos are, the more likely they are to stand out and attract attention. On top of that if your photos are memorable they could help to strengthen your brand and leave an indelible mark on your audience. As you may have noticed social media has become more and more visual that time goes by, and some platforms (such as Instagram and Pinterest) are solely based around visuals. The role of storytelling in content for such platforms cannot be understated, as it is perfectly suited to help deliver a message in a single photo (or series of photos). If used consistently, the style of storytelling in your business photos will become part and parcel of your brand identity. It will allow your audience to recognize your brand instantly based on its visuals alone. That is the reason why many businesses nowadays come up with a style guide for their visuals and photos that includes the storytelling style and elements that are to be included. While good visual storytelling can stand on its own without requiring any additional text, sometimes a well-placed caption can help provide context or even accentuate the message. That can be decided on later however, and for example you could use Movavi Photo Editor as a photo text editor if you choose to. 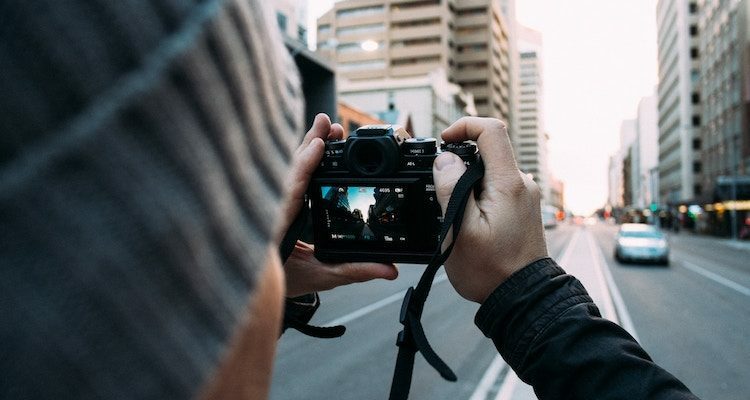 By taking advantage of the benefits that storytelling can provide when you capture business photos, you will be able to truly produce compelling content for social media, your website, and other platforms. Its impact will be felt on multiple fronts, but it is most frequently used in marketing due to the important role that it can play.